Whenever there is a discussion on religion it’s the ‘Big Four’ that are always given most attention – Christianity, Islam, Judaism and Buddhism, usually in that order. Of late, Islam is getting even more coverage in the media than before as Muslims and others attempt to explain what ‘real Islam’ is about. 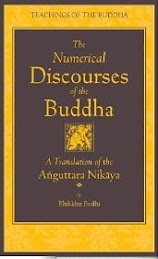 When religion in general is being discussed Buddhism is usually relegated to a few short sentences or a foot note in keeping with the assumption that that all religions are a matter of different ways of thinking about God. If Buddhism is in the ‘also ran’ category, Jainism rarely ever get a mention. This is a pity because after Buddhism, Jainism is probably the most humane, rational, complete and noble of all religions. Of course, if they threw bombs around, hijacked planes, threatened violence or formed aggressive political parties, the media would be full of articles explaining what Jainism ‘really’ teaches. But of course Jains don’t do such things. They don’t push their faith, they don’t demand special treatment, they don’t try to influence politics, they just quietly do their own thing with a ‘live and let live’ outlook. If there were 3 billion Jains, or even 300 million, rather than just 3 million of them the world would be that much more peaceful. 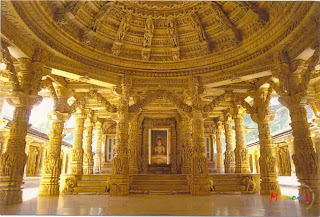 Have a look at this interesting BBC site on Jain charity and a video on Jain temples. The news item about the Jain practice of santhara is also interesting. Now I do not agree with santhara which is why I am not a Jain. But killing yourself is still better than killing others. 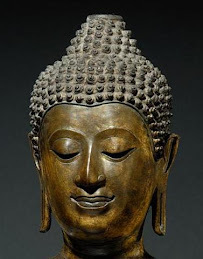 I think this idea of universal and unconditioned love and kindness which is a hall-mark of the Buddha's and Jesus' Teachings was actually first proclaimed by Mahavira. 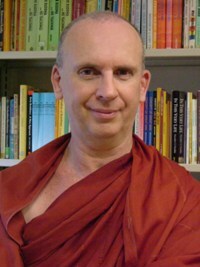 Buddhism is like Cinderella among her three ugly step-sisters. For now we wash the floors. Well, I suppose someone has to wash the floors. And when the CEOs and the top executives are being fired the cleaners usually keep their jobs. i heard that jains don't eat mushrooms. why is it so? 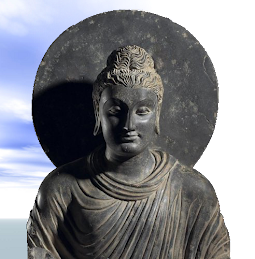 Jainism predates Buddhism and the two have a lot of similarities. 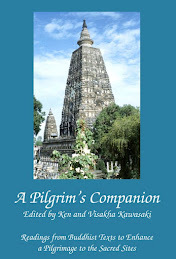 While Buddhism spread beyond India, Jainism remains largely in India. As such it is not 'mainstream'. Likewise, Christianity and Islam has a lot in common but unfortunately today and more recently, differences are more apparent. To me, the right approach is to know the history and origin of major religions, the sociological context at that time and the comparative similarities and differences. This approach is difficult for most people, time-consuming, and requires persistence and consistency, being open-minded, non parochial, non dogmatic and non bigotry. This is a very tall order and most believers, followers, practitioners, devotees and all ye faithful don’t bother! I have never heard that one but it is possible. Jains avoid eating any vegetables that require digging, e.g. potatoes, as the digging might kill worms or insects in the soil. This has meant that they have evolved their own unique cuisine based mainly on grains and fruit. The rather brilliant BBC documentary series "Around The World In Eighty Faiths", for all of its flaws, managed to show Jainism in a very good light, in fact I'd say they came across better than all the other religions involved. The entire India episode is available here if anybody is interested; http://www.youtube.com/watch?v=QZYgpYM2DYs and features Tibetan Buddhism and Hindu/Buddhist hybrids. Thanks for providing this link to me and my blog readers.